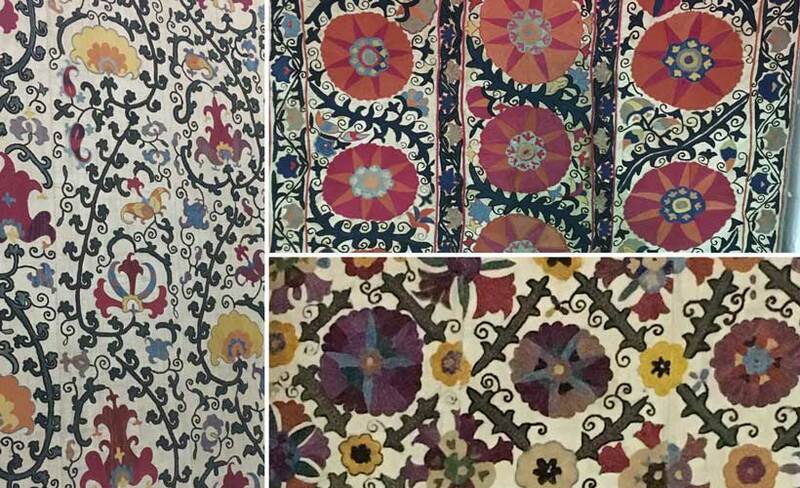 Samarkand – conjures up so much when you say the name. 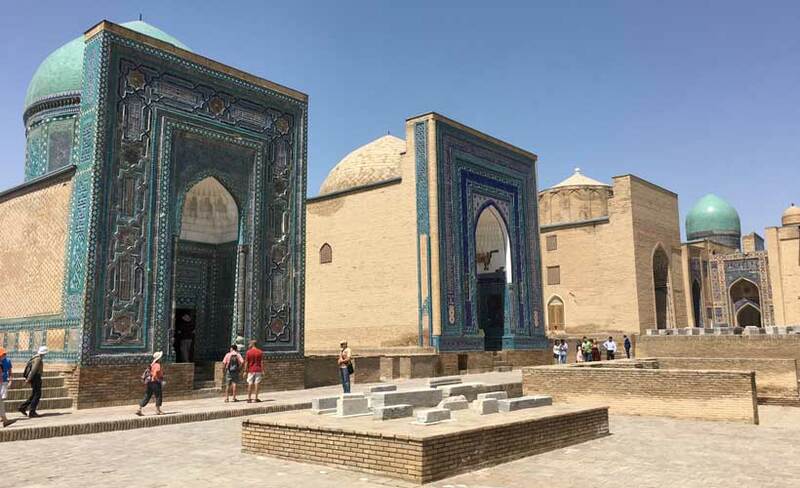 One of the oldest inhabited cities of Central Asia, Samarkand was a legendary stop along the Silk Road, being strategically situated between China and Europe, in modern day Uzbekistan. 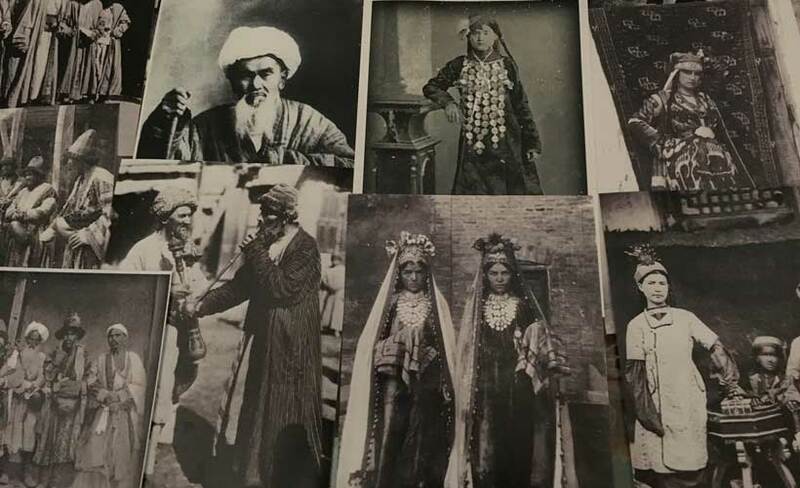 During the 14th century, Samarkand came under the rule of the conqueror Tamerlane who had a passion and commitment for the arts. 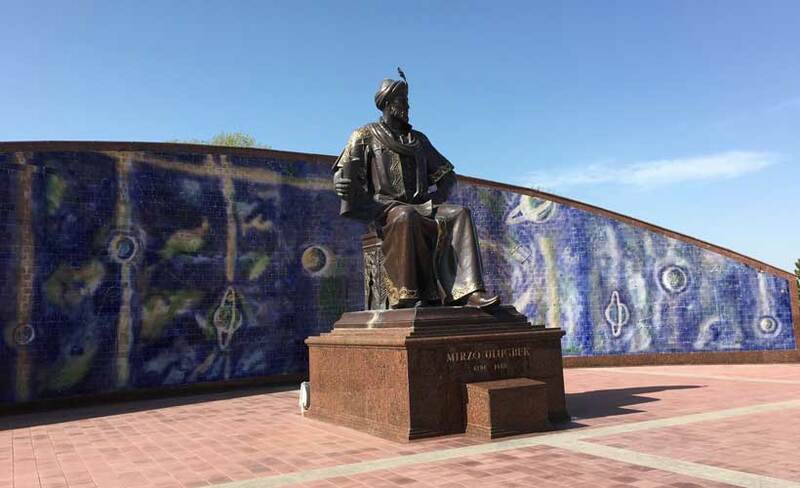 In fact, it is said that while being ruthless with his enemies, he would spare the lives of skilled artisans and craftspeople and bring them to Samarkand to improve the city – and the result of such compassion is clearly seen through the city’s ornate architecture. With an impressive skyline of domes and minarets you can easily see why Samarkand is the star destination of Uzbekistan. Looking more closely at each of these sights reveals an incredible amount of intricate detail with the use of ornate tile work in an array of blues and turquoises. 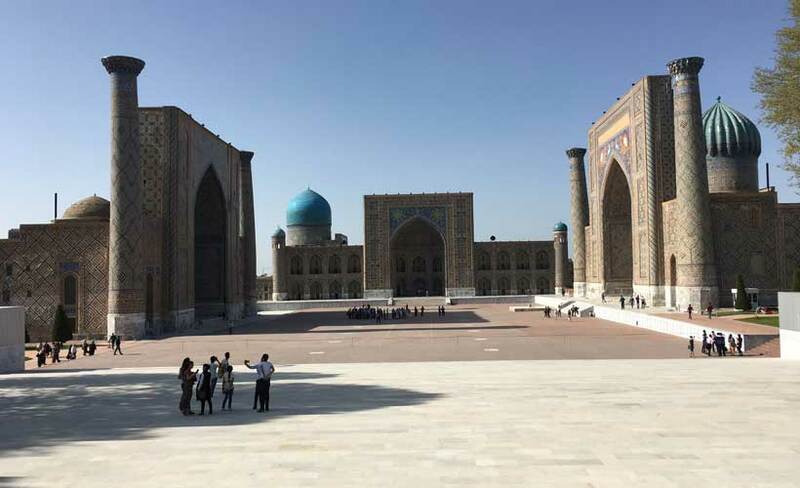 The Registan – a public square surround by three madrasas, Ulugh Beg, Tilya Kori and Sher-Doh. 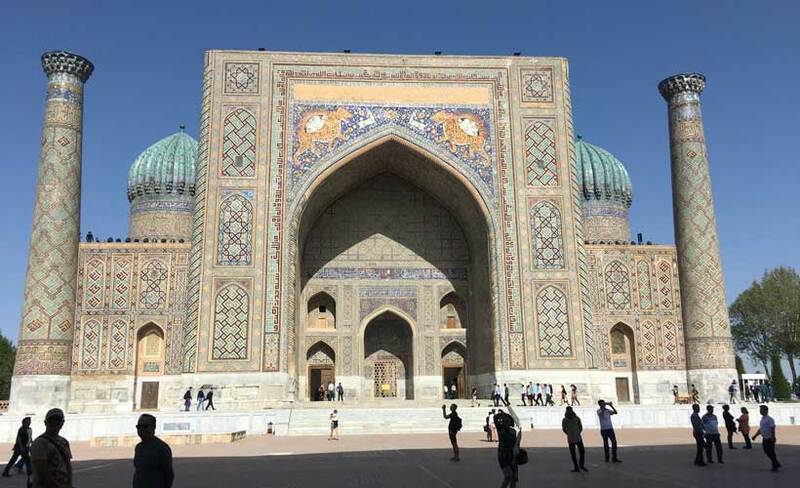 Babi-Khanym – one of the most important buildings in Samarkand – it was once the largest and grandest mosques in the world. Gur-e Amir – a mausoleum which contains the tombs of Tamerlane and his sons. Shah-i-Zinda – a necropolis that contains a cluster of mausoleums and areas for religious rituals. 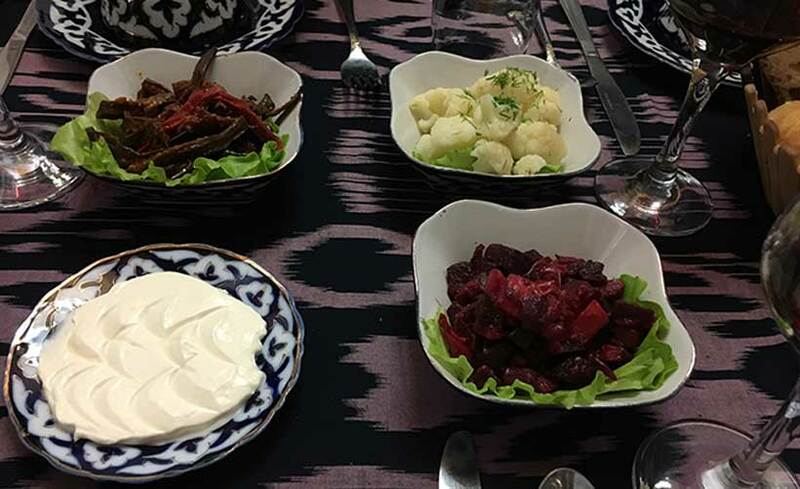 After exploring each of the amazing sights in Samarkand, sit back, have some tea and enjoy the incredible city skyline that sits before your eyes. The best time to visit Uzbekistan is Spring (April to May) & Autumn (September to early November). 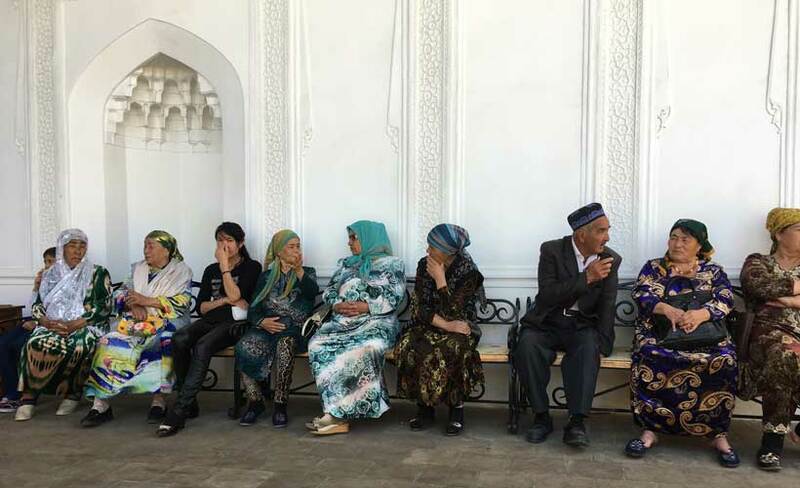 Book your trip to Uzbekistan and the rest of ‘the Stans’ with Blue Dot! Click here.